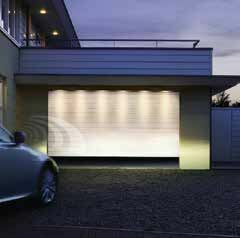 What’s behind your garage door? I wish I could say an Aston Martin but unfortunately, like most home owners, the contents of my garage are far less glamorous. 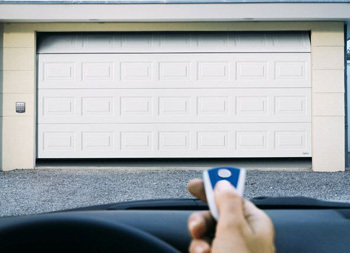 What you use your garage for, what you keep inside and how you access it are important points to consider when choosing your new garage door. In and out like the hokey cokey? 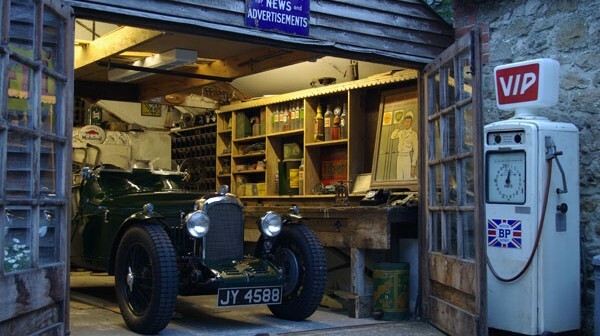 Are you popping into your garage a lot? Does it house your lawnmower? The kids bikes? Maybe the tumble dryer? 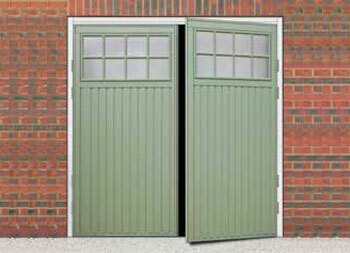 The answer for you could be a 70/30 side hinged garage door. 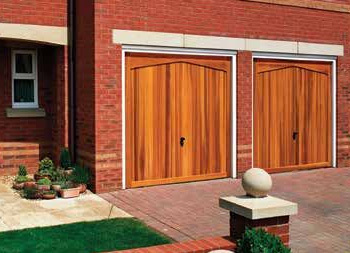 With pedestrian access, these doors are perfect for when you want to pop in the garage without having to open the entire space. Working up a sweat or just working? 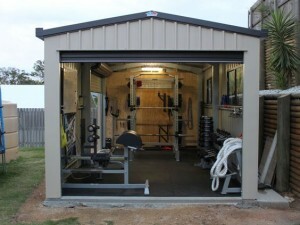 Do you have visions of converting your garage to a home gym? 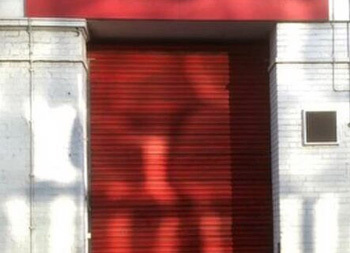 Maybe it acts as a workshop or business space? Then an insulated roller or sectional garage door could be the answer. They provide a much tighter seal around the opening than your standard up & over and the CFC-Free foam core provides excellent heat insulation, keeping the cold out and the warm in. The insulation also acts as a sound proof so if you are working out your neighbours are less likely to hear you grunt as you ‘feel the burn’! Hoarder or collector of interesting artefacts? Perhaps your garage stores all your worldly goods and you are concerned about security? A Secured by Design up and over garage door comes with additional heavy duty strengthening ribs, heavy duty springs, secure locking brackets and a reinforced locking barrel which includes a key to lock and unlock from inside your garage. Perfect if you are especially worried about security! Love the luxuries in life? Then an automated door is for you! Imagine driving home, in the pouring rain, pressing a button and sailing into your warm dry garage! No stopping, no getting out, no wrestling with the lock. A simple luxury but oh so gratifying! 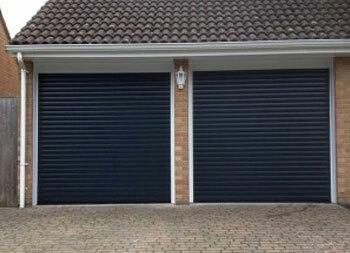 Roller and sectional doors often come fully automated but you can also add a motor to your existing up and over and side hinged garage door. Contact a specialist for advice. Many of us now have larger than average vehicles, we love a 4×4 or an SUV and our poor old garage just can’t accommodate! If you’re looking to increase drive through width and height then consider a roller door which fits behind the brickwork. Assuming you have the head room required for the roll box, maximum drive through width and height can be achieved. This option is not just for larger vehicle owners. Standard size saloon cars can struggle. One customer, after purchasing a new car, needed to fold the wing mirrors in to drive into her garage. 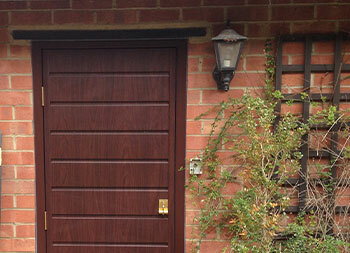 The solution was to fit an up and over door behind the brickwork, read more in their blog post. 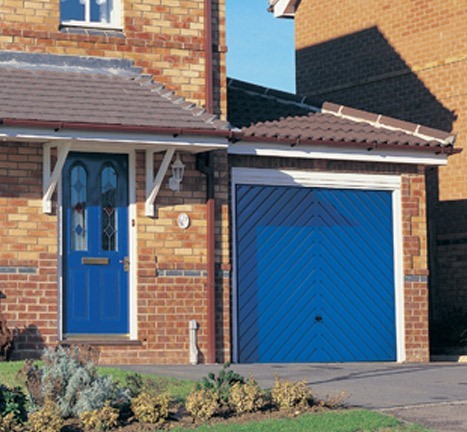 For a simply stunning makeover to your home consider a matching front door and garage door. 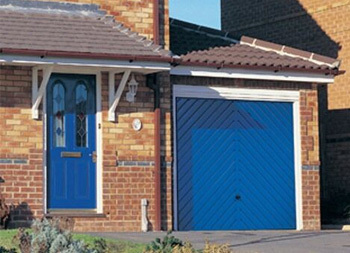 With over 24 colours to choose from, numerous designs and glazing and hardware options, you can reinvent the look of your home by simply upgrading your external doors. Enough of all this chat, I just want a cheap garage door! Then the Cardale Merlin is perfect for you! With prices starting from just £475 fully fitted, this canopy up and over garage door provides you with functionality at an affordable price. 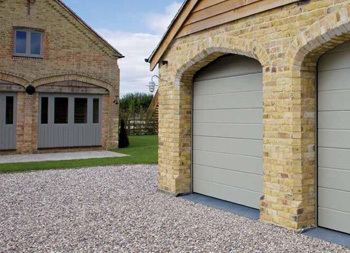 Quality is not comprised as you will receive the same ten year warranty which comes with all Cardale garage doors. However you use your garage, whatever your budget, there is a garage door perfect for you. The range of designs, materials and finish is larger than it has ever been before. Consult with a garage door specialist to find the perfect solution for you and your home.